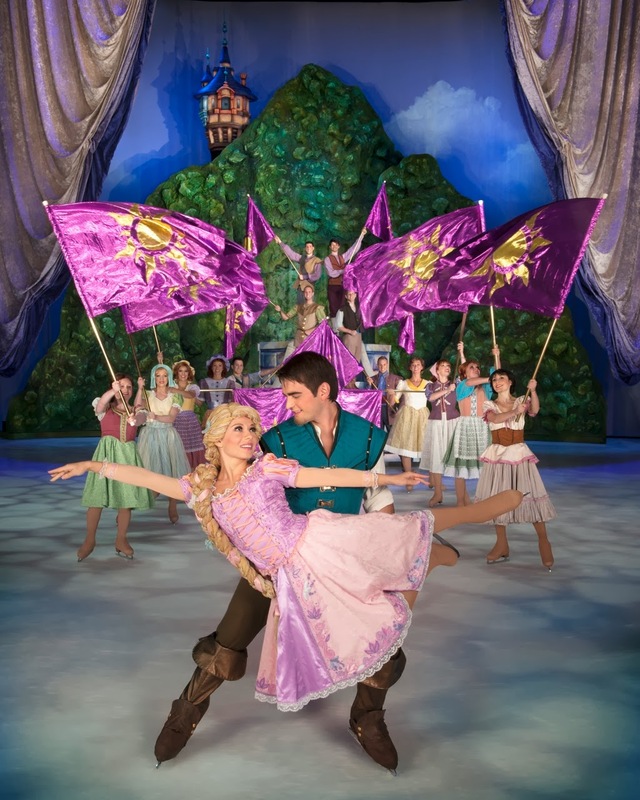 This week, Southern California will be home to Disney On Ice: Rockin Ever After at 3 of our favorite venues and I have a special Discount for all SoCal Kids Outdoor Adventures readers! Join Merida, Rapunzel and all their friends in the all new Disney On Ice: Rockin Ever After! See the spectacular artists on ice as they show off their years of training for these very moments. Jam to a Scottish jig as a group of royal contenders from Brave, competes to win Merida's heart! Experience a show-stopping performance as Sebastian breaks out of his shell for one night only to make waves with Ariel. A chorus of harmless hooligans from Tangled unleashes musical mayhem when they get a visit from the sassy and spirited Rapunzel and her charming ally Flynn. Get your feet moving as the Beast and his castle’s enchanted entourage take center stage in a spectacular show for Belle. Which venue will you see them at? Long Beach? Ontario? Downtown Los Angeles? Anaheim? Whichever venue that you choose, I am sure that money is on the fore-front of your mind. How much? 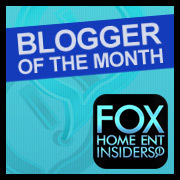 Well, I have a special discount for all of my readers! Use the discount code of "MOM" when you buy your tickets and receive a family 4 pack of tickets for only $80! That is only $20 per person! The discounted tickets are only good on the dates selected on the flyer below. TICKETS: Ticket prices range from $22-$30; $50-$55 (VIP) and $75-$80 (Front Row)* Opening Night tickets are only $15 each for select seating (not valid for VIP or premium seating)* Tickets available for purchase online at AXS.com, charge by phone at 888-9AXS-TIX or in-person at the venue Box Office. *tickets may be subject to service charges, facility and handling fees. For more information, check out their website at http://www.disneyonice.com/. I hope that you get the chance to see this show! My family was invited to see the show opening night on December 15th and I hope to see you there! 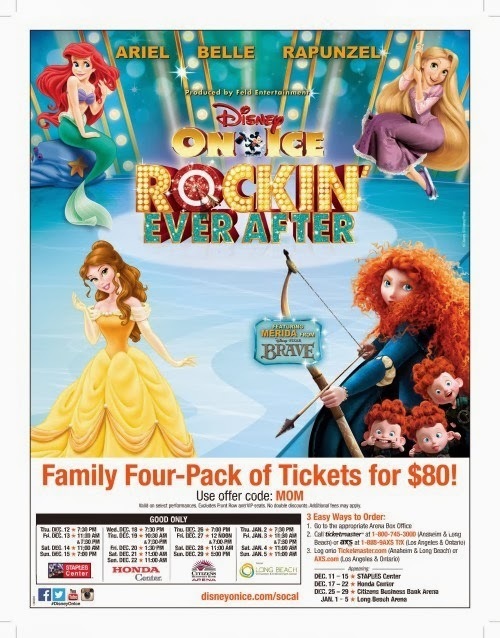 DISCLAIMER: I received passes for my family to attend a media performance to review Disney On Ice: Rockin' Ever After. All pictures are used with permission of Disney On Ice. Do not use any pictures without permission.